Here at Admiral Scaffolding Group, we are committed to maintaining the highest safety management on all projects no matter how big or small. 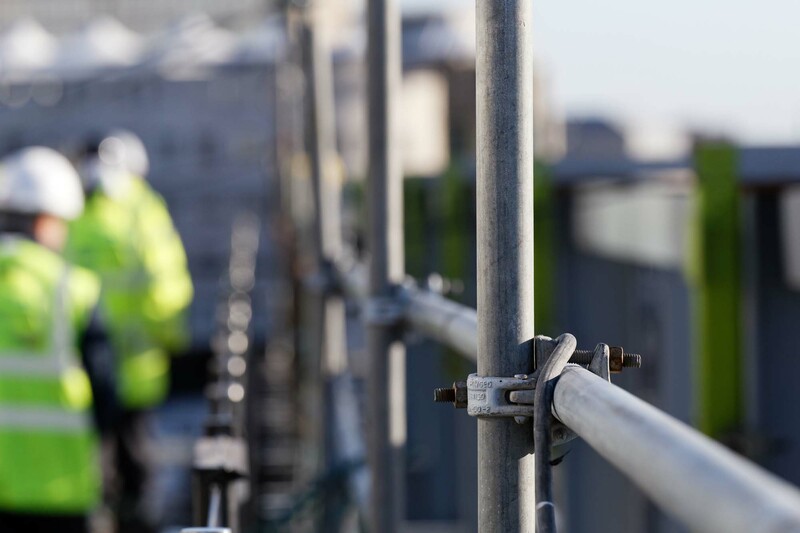 So committed in fact that we employ the services of external consultant Davenport Safety who has had over 26 years experience within the Scaffolding industry. He is a highly respectable safety specialist, who monitors and advises The Group on all aspects of safety within the working environment including training courses for the Group’s Managers and Supervisors. Davenport Safety complete ad hoc visits to all sites and compile reports for all Contracts Managers to action and close out in agreed timescales. Weekly scaffold inspections are conducted at the request of our clients and reports are then issued to the client and responding contracts manager. Each of our operatives receives a weekly Tool box talk from the well known GE700 series. This compromises over 71 Tool box talks covering a wide range of industry topics including everything from asbestos to working at height. In addition to these Tool Box Talks, Regular Safety Bulletins are given out with new updated guidance and legislation. Every project is covered by a Safe System of Work (Method Statement and Risk assessment) that is agreed prior to works starting by our clients. attached to the Safe System Of Work is either a Compliance sheet or a bespoke design drawing. All of our operatives are CISRS trained and hold the appropriate skill card for their respected level. They are trained on the renowned SG4:10 and TG20:13 with regular refresher training given to all. Admiral is committed to continuously refreshing safety training across all areas of the business. All accidents and near misses, regardless of how minor they may seem are reported and recorded allowing Davenport Safety to review and put control measures in place to prevent reoccurences.